4 EVR Enlightened Pedestrian Push Button - J.O. Herbert Co., Inc. 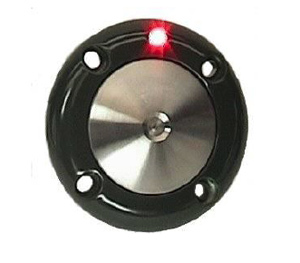 The 4 EVR Enlightened is digitally controlled latching Pedestrian Push Button that synchronizes the status of all push buttons on the same phase. Common to the principles as an elevator button, the LED indicator and audible feedback tone are activated once a call has been placed to cross the intersection, and is reset when the “Walk” display is illuminated. The Enlightened Interface module controls up to four phases and multiple modules can be added to service additional phase requirements – ADA and MUTCD compliant. Multiple modules can be added to service additional phase requirements.